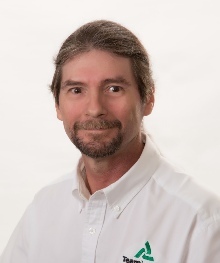 Tony is a Systems Engineer with vast IT experience gleaned from the oil & gas industry. He quickly got promoted several times starting in Electronics and growing into Senior Management. One of his biggest accomplishments was the development of a Differential Global Positioning System (DGPS) resulting in company growth of 335%. Just as he was trusted within the oil & gas industry, he can be trusted to handle any problem that arises with his customers at TeamLogic IT. Intuitive and indispensible problem solving skills are Tony’s key to success. PRIOR EXPERIENCE: Tony worked as Network Computer Technician for a local network company (3 years). The biggest time frame in his career was with a navigation, sonar and geophysical service company in the oil and gas industry, where Tony earned numerous promotions. He served as a member of the Senior Management Team, Vice President of Information Technologies, Special Projects Manager, Operations Manager, and Electronics Lab Manager (23 years). Tony was also a Submarine Sonar Technician – First Class for the U.S. Navy (6 years). NOTEWORTHY HOBBY: Tony studied classical piano at 13 and is now self‐taught on guitar, fiddle and trumpet. He has recorded with musicians from Aerosmith, The Cars, and Boston, to C.B. Mickens (longtime piano accompanist for Roberta Flack). His musical influences are Rock, Classical, Country, Bluegrass, Blues, Traditional Cajun and Zydeco. EDUCATION: Tony was Salutatorian upon graduating from Surry County High School in Dendron, Virginia. He also attended the Governor’s School for the Gifted – Randolph Macon College in Lynchburg, Virginia on a music scholarship.